J&B Movers is the moving company in Jonesboro AR for affordable residential and commercial relocation services. Movers Jonesboro, Conway AR provides highest quality moving services at an affordable price. After a successful stint handling small moves around the University of Memphis campus for friends and students, founder Steve Reed realized that the word-of-mouth attention generated by his services validated the need to create his own moving company – one focused on putting the customer first. 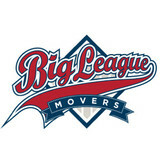 With former college baseball players filling most of the staff lineup, Big League Movers was born. The name, not only applies to the company’s Major League Service, but it also served as a bit of a joke among those early employees. They all had ambitions to make it to the Big Leagues, so Steve simply created a Big League they could go to. The company’s strong focus on customer service has paid off time and again. In 2008, when other moving companies were showing a loss due to the downturn in the market, Big League experienced gains. After just three years in business, Big League Movers expanded to Atlanta with one of Big League’s top movers – Jeff Coletta – leading the new branch. Today, Big League Movers is a fully licensed, bonded, insured, and BBB accredited, full-service, award-winning company serving both residential and commercial customers. Relocating to a new house is stressful enough without having to worry about the logistics of an entire move. So when it comes to the heavy-lifting (literally), leave it to the professionals — professional movers, that is. Experienced Brunswick, TN moving companies consist of expert movers and packers who can efficiently pack, move and assemble your Brunswick belongings to ensure that you get off to a good start in your new home!